An elegant Necklace with a Gold and Diamond Pendant. Two open ovals - one in Yellow Gold, one in White - are interlinked and strung on a fine Yellow Gold chain. The White Gold oval is set with Diamonds. 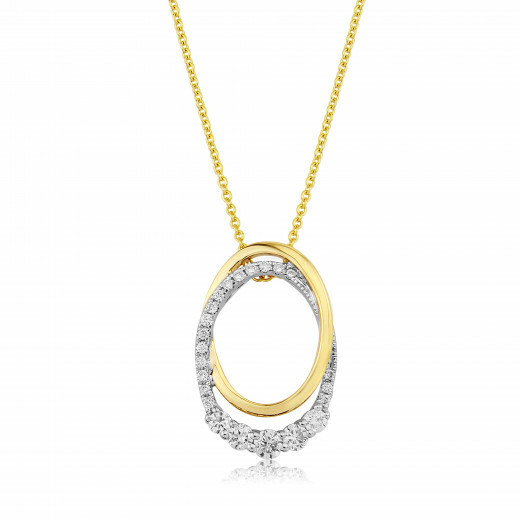 An unusual and contemporary version of the classic Gold and Diamond Pendant Necklace.